A Malawian high school student passionately preaches the gospel. How the Lord called a Zambian to become a missionary in Malawi through dreams. A story of one OM worker’s struggle, triumph and hope. 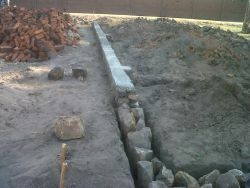 OM Malawi begins construction on a ministry base they hope will impact the Malawian people for the Lord. The spiritual life of a young student is a challenge to us all not to become stale. 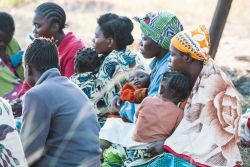 Two stories from the Africa Trek--an intense discipleship experience for people from different nations who travel and minister together throughout Southern Africa. 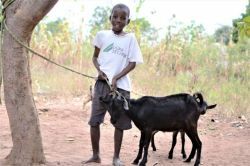 A Malawian missionary brings change to his village and food to his family through farming techniques taught by OM Malawi. 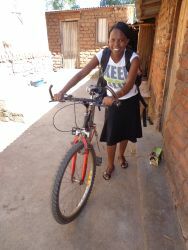 Cycling to reach people in remote villages in Malawi, Yolanda Mamvura experienced a puncture which led her to pray for an epileptic. 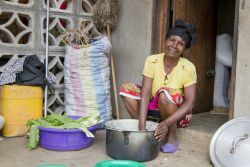 An elderly local villager labelled as a witch receives love and practical help from OM Malawi. 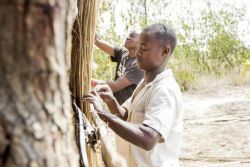 OM Malawi endeavours to make its projects and workers self-sustainable, while transforming lives and communities at the same time. 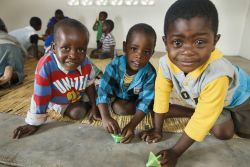 OM Malawi opens a new school to help educate children in need. 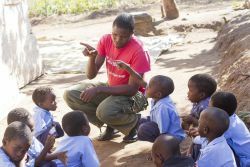 After completing the teachers training course, a young Zambian goes to Malawi where he serves as a father figure for 15 children. What do a puppet show, a healed old man, a re-thatched house and rains in the desert have in common? 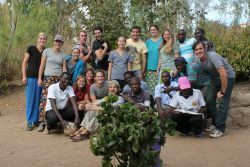 Answer: The OM Africa Trek! The Africa Trek ladies connect with local ladies in a village, who want to know more about Christ after watching the Jesus film. The care the head teacher of Chiyembekezo School shows to her pupils even outside the classroom has a ripple effect on the larger community. 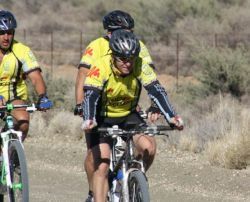 Over an eight-day period, 18 Ride2Transform cyclists travelled 690 kilometers, participating in a personal journey with the Lord and praying for the country of Malawi. 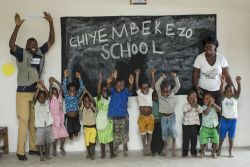 Chiyembekezo School is aptly named. Meaning “hope” in Chichewa, the school brings hope to orphans and vulnerable children in Ntaja, Malawi. 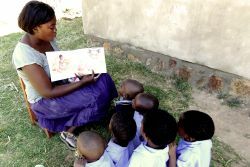 A Bible study for the guardians of the pupils in Chiyembekezo School in Ntaja, Malawi, is bringing freedom to the women who attend. 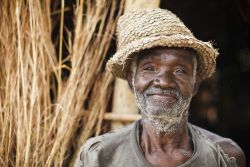 One OM Malawi worker’s journey of faith has led to increasing AudioBible influence. 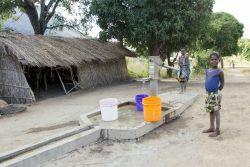 Water was not to be found when the OM team drilled in Chisopi, Malawi - until they drilled in front of the church. The people of Chisopi never imagined a school would be established in their village. Today, their children are receiving an education. The students of OM Malawi’s two schools are receiving something more than a Christ-centred education; a way to pay for future schooling. 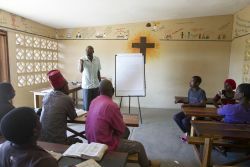 The Discipleship course in Malawi challenges students to own their faith and apply it in their daily lives. 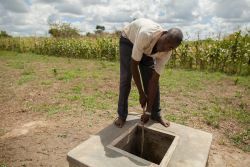 OMer MacDonald shares how a church in rural Malawi started and has started reaching out. 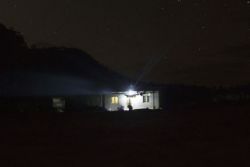 Solar powered electricity provides a unique way to connect with the local community. 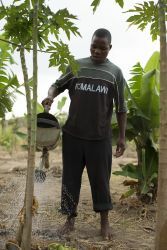 Prison ministry in Ntaja, Malawi is reaching out to prisoners and guards alike; planting seeds and bearing fruit. 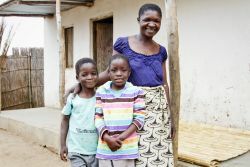 When the OM Malawi team met Sarah she quickly became Abaku or 'Grandma,' being an example of Christ to many in her community. Ride 2 Transform takes its third tour of southern Malawi for ministry and support. During the OM's Ride 2 Transform 2017 cycle tour, 17 cyclists biked 550 kilometres around southern Malawi, distributing AudioBibles and praying. 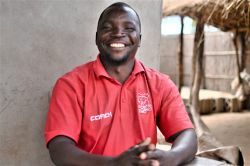 A successful Malawian church planter is digging deeper into biblical discipleship. 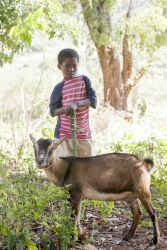 OM Malawi’s Chiyembekezo School is giving out goats. Miraculous healing from sudden paralysis gives an OM worker opportunity to preach the gospel in a community. 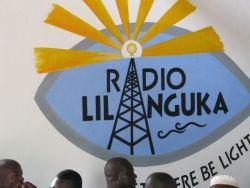 A new radio station celebrates its grand opening in Malawi, reaching out across the airwaves. "Just like the children’s game ‘stuck in the mud’ we need others to help us, to set us free. Sometimes the game gets so crazy that people don’t know you are stuck and need help," explains OMer Renette.